Buy Five (5) $10 vouchers for only $25 .... HALF PRICE! Red Mango’s award-winning frozen yogurt has it all -calcium, protein, and live active cultures that are good for your body. And unlike other desserts that often contain artificial ingredients or excessive calories from fat and sugar, Red Mango frozen yogurt is all-natural, nonfat or low fat, and certified gluten-free. The best part is you can serve yourself. Choose from a variety of rotating flavors and get creative with an array of delicious toppings including fresh fruit. Treat Yourself Well at Red Mango. 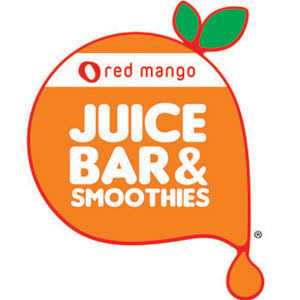 Red Mango also offers Vegan and Dairy-free frozen treats, Smoothies, Acai Bowls & Flat Breads all under 500 calories or less. Follow us on Facebook at RedMangoFW to learn about exciting new flavors. Stop in at Red Mango today and be sure to join Club Mango so you can earn points to redeem for free yogurt. Located in Jefferson Pointe Mall across from Marshalls.